Love it, love it, love it, love it. Did I tell you I really like this cushion? Well… I do! Good work! Wow! So cute! They all look great together! And love that pillow on the left! Lovely, and indeed very colourful! But I don’t think anyone could call you a lazy woman!! Quite the opposite I should think. Oh I LOVE it! 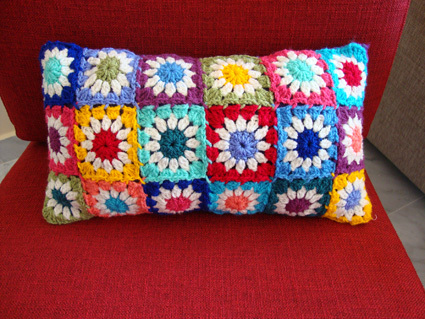 I have yet to make a colorful pillow like this. What am I waiting for? It looks beautiful! You match the colours so nicely! I’ve been trying to make the scarf with the flower pattern you published and I am getting crazy trying to match the colours! Lovely cushion! Hope your painting went well. I’d love to see your results! 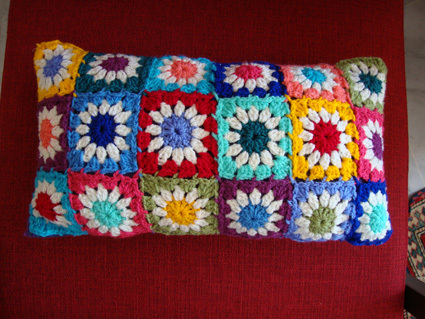 Lovely cushion – and I’m also intrigued by the blanket on the arm of your sofa … have we seen that one before? Please tell us the pattern of the Daisy. Wow! 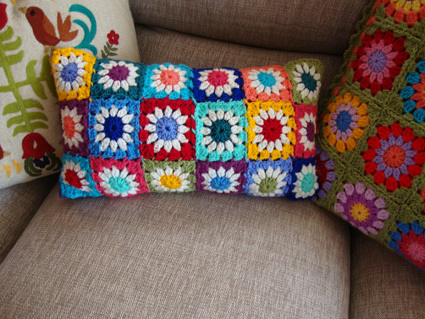 Your daisies cushion is really beautiful! I love it! I really would like to try something like that! I’ll let you know when I finish something! on April 8, 2011 at 12:59 pm | Reply Debi Y. 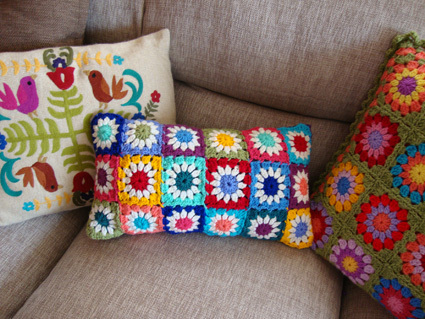 Love, love, love the daisy pillows! Your creations are very cute, so corful! And…I love your lampshade!!! 😀 Brilliant idea! Fab! Love your color combination. I am really loving all your squares! I wanna learn. 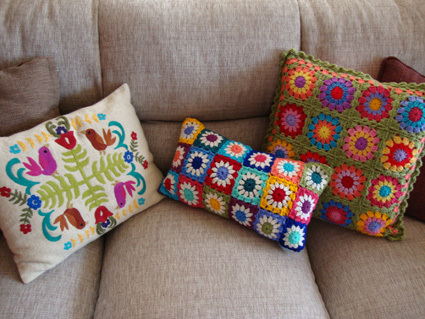 Those are the happiest cushions EVER. I love happy! 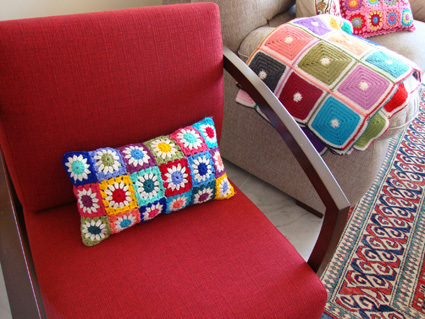 After seeing such a smashing colorful cushion I will have a very good day! 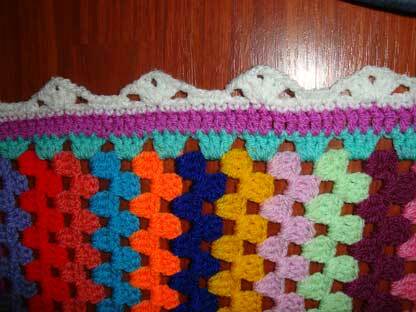 Beautiful crochet..
Lots of nice projects on your blog. Thanks to share! OOOOOOOOOOOOO!!!! IT ALL LOOKS SO BEAUTIFUL!